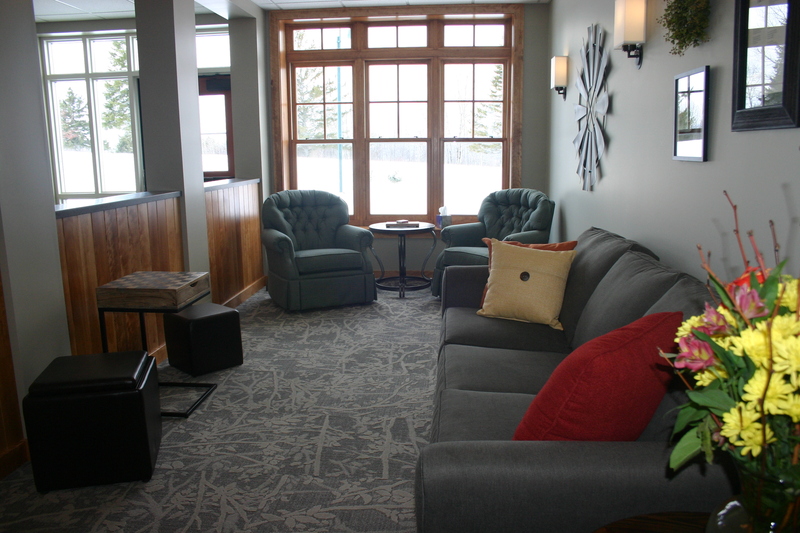 Aroostook County’s first hospice facility officially opened its doors to the public on Saturday, April 7, with an open house that welcomed local families and community members. 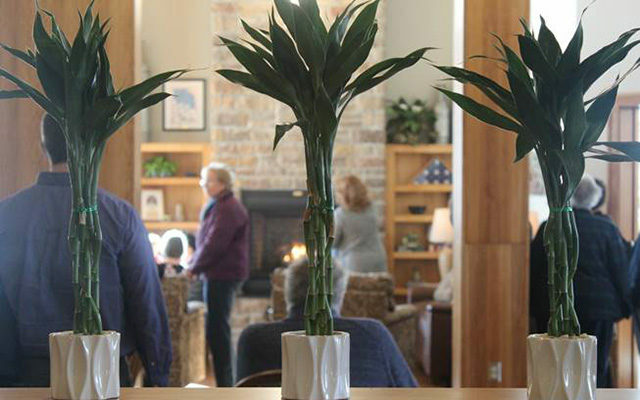 PRESQUE ISLE, Maine — Aroostook County’s first hospice facility officially opened its doors to the public on Saturday, April 7, with an open house that welcomed local families and community members. Fundraising efforts for the Aroostook House of Comfort began in May 2009 and were spearheaded by Rick and Nancy Duncan and Dirk and Sharon Duncan, all of Presque Isle. After Rick Duncan’s mother passed away, he and his wife decided that people in Aroostook County should have access to hospice care that allows them to live in a homelike environment during the final months of their life. The Duncans established the Aroostook Hospice Foundation, a 501C3 nonprofit organization, with the initial memorial donations from Rick Duncan’s mother. They spent many years afterward raising funds and looking at several property options that ultimately did not fit the needs of a potential hospice home. Three years ago they learned about a building and 15 acres of land on 18 Green Hill Drive after the owner, Michael Scarks, reached out to the Duncans. Scarks had purchased the property for his company, Boulos Reality, a few years prior but had never found use for the space. 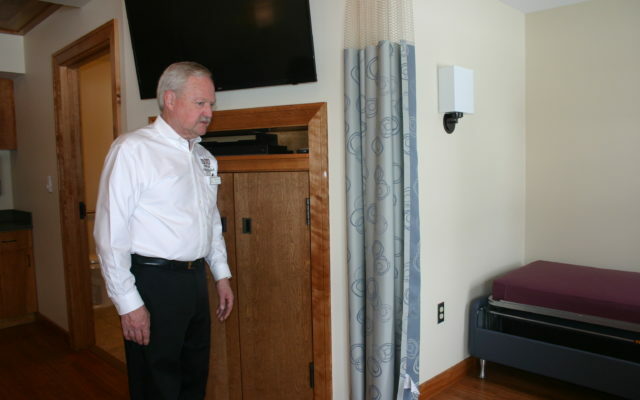 Thus the Aroostook Hospice Foundation was able to buy the property with the building which will be managed as a hospice facility by Visiting Nurses of Aroostook, a home-based nursing service that is part of Eastern Maine Healthcare Systems. 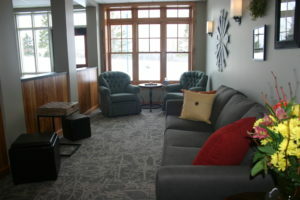 During renovations, 2,500 square feet was added to the front portion of the structure to include an open-concept dining area, living room, children’s play area, conference room and front porch. 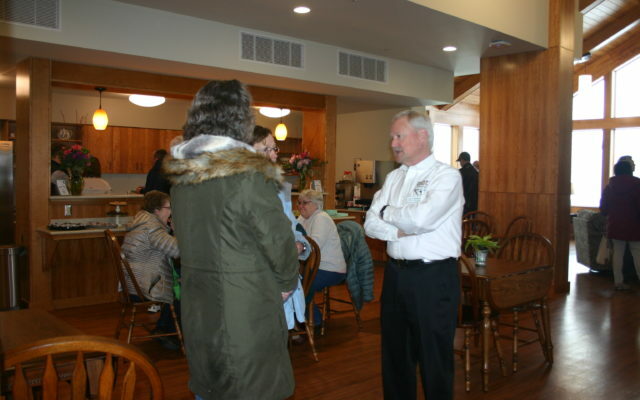 Rick Duncan and members of the Aroostook Hospice Foundation’s board of directors and advisory board as well as officials from VNA were on hand during the open house to give tours to visitors. Duncan pointed out that all 6 bedrooms feature a common area for family members to sit, a microwave and refrigerator, wheelchair-accessible bathrooms and showers and couches and chairs that fold out into small beds for family members who want to spend the night. Each patient’s bed is positioned so that he or she gets the best views of the outdoors. The facility’s outdoor space currently has a memorial garden and the Duncans hope to eventually create walking trails on the property. Aroostook Hospice Foundation and VNA expect to begin serving patients on May 7. Patients who receive hospice care will have been diagnosed with a life expectancy of 6 months or less and will receive a “comfort approach” to symptom management and end-of-life care. The facility will employ both in-house and traveling nurses, doctors, social workers, and CNAs. There are offices on site for VNA staff members, and regular volunteers also will be on hand to assist patients. 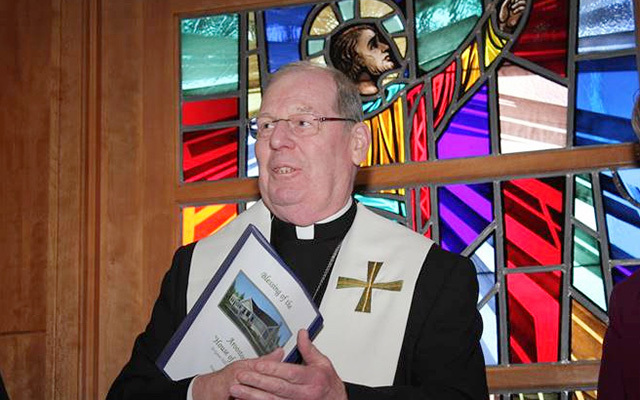 The day before the open house, individuals from the board of directors and advisory board and members of the public gathered in the chapel as Bishop Robert Deeley of the Roman Catholic Diocese of Portland performed a blessing ceremony for the facility. 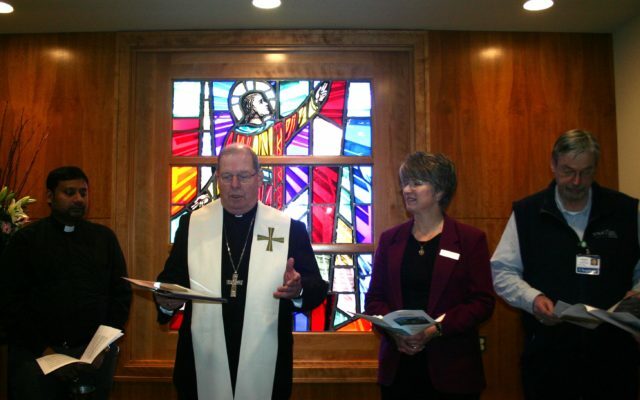 The Diocese donated a three-piece stained glass window to Aroostook Hospice Foundation in 2015. Thus far the center panel has been installed in the chapel, with the two remaining panels to be installed on both the left and right sides of the wall. 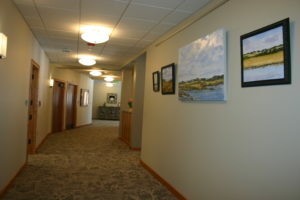 The home received a warm welcome from community members, who praised the open, comfortable atmosphere and the spaces available to patients and family members. Aroostook Hospice Foundation members will continue to raise funds to support the facility’s operation and have plans to hold many fundraising events in the future. They also will maintain an endowment fund to support patients who might not normally qualify for hospice care due to Medicare and Medicaid insurance guidelines. Rick Duncan credits the numerous community members and organizations who have donated money, materials and time to help make the home a reality for County families.